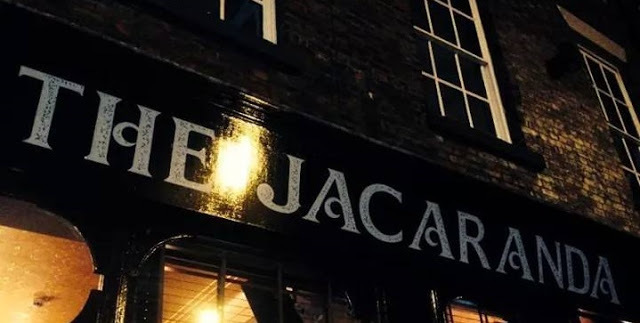 A GROUND-BREAKING project has been launched by Jacaranda Records to build a 'global music industry hub' in the heart of Liverpool. Jacaranda Records, led by Liverpool-born producer and former Universal Music Group (UMG) executive vice president Ray Mia, will see a huge cash boost to Liverpool as he reveals plans to create a state-of-the-art recording studio, film and broadcast facilities plus the first major vinyl pressing plant to be built in the UK for decades. Ray said: "Growing up in the 70s and 80s in the city gives you a music education whether you like it or not! 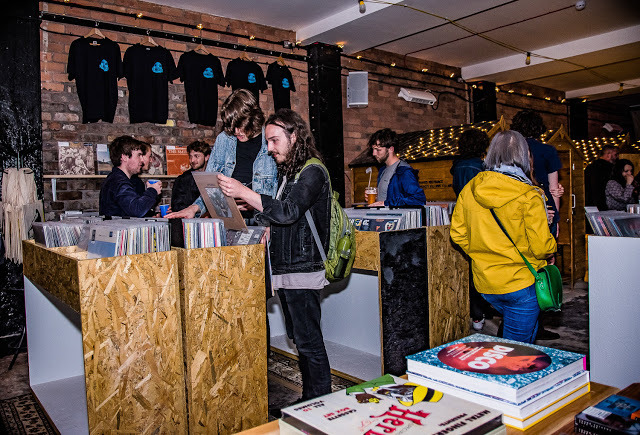 "If you know your history, Liverpool’s contribution to music is the stuff of legend, and the fact it isn’t still regarded as a cornerstone of the Industry is a national disgrace, which made choosing the city as the HQ for a global music operation, a no-brainer. “My career has taken me to the furthest corners of the global media industry and the key established music, film and television centres of London, Milan, Paris, Tokyo, Seoul, Bombay, Los Angeles, Austin, Nashville and New York, and I am yet to discover any city where music flows through the streets, the history, and the very veins of its people like it does in Liverpool. "It just can’t be replicated. “Liverpool could and should be regarded as one of the pillars of the global music business, but having been overlooked by the industry, lacks the world-class facilities or support systems required to take that rightful status. "Over the coming months and years, we will make a series of targeted investments designed to fundamentally and strategically change that entirely. The project, set to be funded by a blend of institutional and personal shareholder investment, has been founded as an artist focused, forward-thinking record label expert. They have already begun work on a range of audio projects with a range of creatives, performers and partners ranging from the BBC Studios 'Earth: One Amazing Day' to Lemn Sissay and the Canterbury Cathedral Choir. Not only will the business focus on established artists, it aims to focus on the city's upcoming artists and has already begun work with the likes of The Bohos, Shards, Tracky, Spilt and The Post Romantics who are being given the opportunity to perform at the Jacaranda's music venues. Any releases on Jacaranda Records will soon be manufactured locally and distributed by the label's independent retail network. 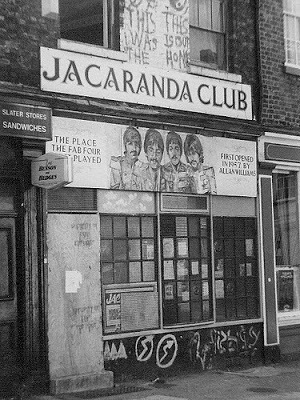 The Jacaranda Club’s Graham Stanley - and the new label’s brand director said: “Given The Jacaranda Club’s 60 years as an iconic location where people watch, listen and buy music, becoming part of an operation that also makes music seems like a very logical step. "Combining the history with the industry expertise and innovation first approach that Ray and his global team bring to the table is hugely exciting, and I’m delighted that we’re not only investing in the latest generation of young musicians poised to burn through the industry, but also bringing a range of established artists and producers to the city to make their contribution, and gain themselves in return. "Our aim is not only to find the next big things, but to be a lightning rod attracting the brightest and best talents from around the world. "If you're a creative - why wouldn't you want to come and play, perform and produce a record in Liverpool? Music journalist, radio show host and founder of the Von Pip Musical Express (VPME) Andy Von Pip, who has joined the Jacaranda in an artist liaison role, added: “There are many things that those close to the Liverpool music scene would like to see done to support the local industry, but if there was one thing above all others we’d ask for, then it’s a record label that not only gives artists the committed, long-term support they need to break through but does so in a way that protects them from the abject exploitation that has become legendary in so many parts of this business. With a launch team already working out of The Jacaranda's Seel Street building ahead of more recruitment and the exciting expansion, a scheme to fund the technology and facilities required to support the label’s commercial and operational model is now underway. Ray Mia added: “Liverpool’s music sector has felt under heavy fire in recent years, and the timing is perfect to reverse the pattern of talent bleed from the city in seeking flimsy opportunities elsewhere along mainstream routes to market. "In an increasingly decentralised digital economy you can duplicate infrastructure and technical resources anywhere, but you can’t replicate the talent that this city produces in such abundance. Music is part of our DNA, and with the right support environment to find diverse talent, develop it, grow it, sustain it and distribute it digitally and physically? "The quality will show - because if content is King, then creativity is King Kong (and we have several Superlambananas to feed the beast!). “It's this very raw creativity which will reestablish the town as the global giant it always was, and is, and will continue to be. Pleasant to be going to your blog once more, it has been a long time for me. To begin with, right snap any melody, collection or playlist in Spotify you wish to advance and by and by select "Duplicate Spotify URI."